The second we got our farm, natural chicken keeping became a priority. The egg itself is said to be the perfect source of protein, and chickens are so easy to keep that they make sense for any farm. We’ve saved by using fermented feed, herbs to keep our chickens healthy, and using food we could easily grow on our farm. At one point, we went 6 months with no eggs. That’s a huge bummer, believe me! But we improved and got better. As I’ve gained more experience in natural chicken keeping, and become a resource for new hen owners, there are certain mistakes I see time and again. Here’s the top 7 natural chicken keeping mistakes that you can avoid—and the chickens you have hunting and pecking in your backyard will thank you! I frequently get emails from new owners who want to know whether they should provide non-GMO feed, or who don’t know what to do because they can’t afford organic non-GMO layer mash. The bottom line is the quality of your hen’s diet is the most important thing. If you can’t afford organic, non-GMO feed, then just opt for what you can afford. While people will tell you that natural chicken keeping begins with feeding non-GMO, organic feed, it’s also about using naturally-found herbs, fermented grain and vegetables, or even crafting your own feed to raise healthy hens. It’s more important that you enjoy your “pets with benefits” and feel good about them—and if you’re stressing about not being able to afford organic feed, or if you’re putting yourself in financial distress over it, then keeping a backyard chicken flock won’t be any fun. Do your best, and enjoy the parts of natural chicken keeping that are within your budget and time constraints. Every so often I encounter new owners who believe they need a rooster to get eggs from their hens, and that roosters are a part of natural chicken keeping. One of the nice things about owning hens is they’ll lay eggs whether a rooster is present or not—you only need a rooster if you want eggs to hatch. Getting a rooster isn’t a bad idea, and it helps your hens feel safer and completes their social hierarchy, but you definitely don’t need a rooster to start all natural chicken keeping. Which is good news if your town doesn’t allow them! Every time I hear about a new owner who loses their flock to a formidable predator, I feel terrible for them. There’s nothing more heartbreaking than working hard to raise a natural, healthy chicken flock only to have it ripped apart in one night by a raccoon. I’ve found that a lot of new chicken owners don’t realize just how crafty predators can be, and how much energy they’ll exert to get a free dinner. Part of natural chicken keeping is making sure your flock stays safe. Sometimes new owners think chickens will be fine left to their own devices, but hens are pretty much defenseless against chicken predators. Usually, they either run away or fly up away from predators. Other than that, they don’t have many natural defenses. You might not realize that predators aren’t just wild animals—domestic cats and dogs can cast an eye at your flock. We made the same mistake, until we started losing them to our dog! I’ll never forget the day we learned that our dog, who was so great with people, was a chicken killer. So, even if you don’t have wild predators, remember that a secure coop and run will help prevent your flock from becoming a chicken chew toy. Probably one of the biggest mistakes I see is when new owners assume that natural chicken keeping means letting the hens forage for their own sustenance. Natural chicken keeping doesn’t mean allowing your hens to fend for themselves, and if you go this route, you run the risk of unhealthy hens, no eggs. You won’t believe how many emails I get from owners who aren’t getting eggs and have no idea that diet is the issue. You might also lose chickens to predators as they stray further and further from their home. Sometimes I read advice that it’s natural to allow a chicken flock to feed itself because our ancestors did it, but it’s simply not true. For example, what happened in the winter with snow on the ground and nothing growing? Were the hens foraging then? 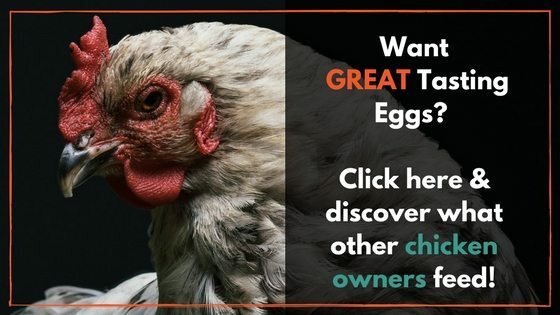 Natural chicken keeping doesn’t necessarily mean throwing chickens in your backyard and forgetting about them until you want eggs, but it’s a common mistake I see new owners making. While you should offer both to your chicken flock, oyster shells and grit serve two different purposes. Oyster shells are used as a calcium supplement so your hens can form healthy, hard egg shells. Without some sort of calcium supplement, your hen might become deficient in the mineral. She then might start to lay soft shell or other abnormal eggs, or she might start drawing calcium from her own bones to lay natural normal-looking eggs. Grit, on the other hand, helps your hen digest food, and without it, she might develop an impacted crop or even sour crop. Your hen will swallow the grit, and it will make it’s way into her gizzard, where the stones will sit and help “chew” whatever food she’s eaten. While vinegar works well in natural cleaning solutions, it’s not a good idea to use it in wounds. I do see this advice from time to time, and it’s a common issue in my area. Even my vet asked me whether I use vinegar to clean wounds when I brought a rabbit to see her, and was relieved to hear that I don’t use it. Vinegar doesn’t have the same bacteria-killing qualities as alcohol or hydrogen peroxide, for example, and it simply won’t be as effective in preventing an infection. You’ll be doing your chicken a disservice by using it. Although many of my readers DO try to learn about common chicken illnesses before getting a flock (and a hearty high-five to them! ), many owners out there DON’T—and then use Facebook groups as a way to diagnose their chickens. Similarly, about once a week I get a message over Facebook from an owner who asks me to diagnose their sick chicken—something that’s virtually impossible to do over social media. 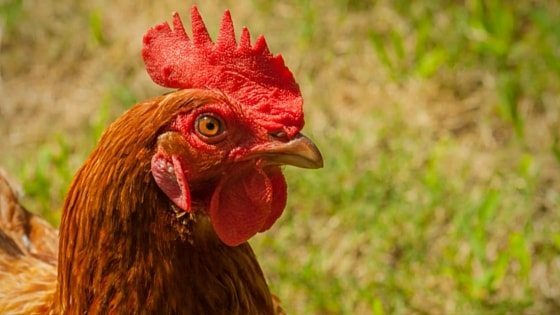 While I feel for every flock owner out there with a sick hen, and it’s natural to want answers, don’t wait until you’re in trouble to learn about chicken illnesses. There’s many natural remedies out there for common illnesses, but the time to learn about them is not when you have a sick chicken. Learn about common ailments and how to treat them (natural remedies or conventional) before or as soon as you get your flock—life will get a lot simpler, and you’ll be better prepared to help your hen when she’s in trouble. While as a new flock owner, you will likely make mistakes, natural chicken keeping is full of rewards—just give it your best shot! 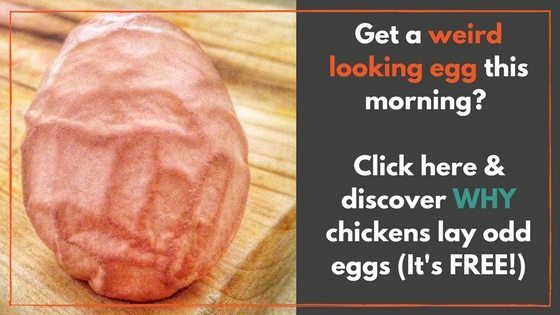 Is there anything on this list of natural chicken keeping mistakes you would add? Leave a comment below! I moved and my chickens won’t go in the new coop at night. I locked them in for a week but they still want to roost in the barn? I only feed in the coop but they free range. Some will come in the coop yo lay eggs but sleep in the barn!! Are the roosts in the barn higher? Could there be something about the coop that makes them shy away from it? This is a great list! I have been looking into getting chickens for about a year now, and by looking I mean spending almost every waking moment researching chickens and what they need. This has definitely given me more things to research like herbs for chickens and fermented food for them. Thanks so much for this! Hello! I just have a question about one of my hens. She is a great producer of eggs and gets along well with the rooster and other hens. Her problem is her bottom is loosing feathers and looks a bit red. How would you treat her for this? Thank you. Is there a book on common chicken illnesses and diagnosis? You’re right, getting answers on blogs is fruitless. Hi, I use the Merck Veterinary Manual as a place to start. If you do a Google search, it’s available online for free, and it’s searchable. Thanks for the great post! One tip to add that has worked well for me is supplementing my layers feed with sprouts. I buy the black oil sunflower seed that is sold as birdseed and soak overnight wth a weight on seed to keep it submerged. Rinse and drain morning and evening just until the roots (little white tails) appear and feed to the “girls” …mine LOVE them. We’ve had our chickens now for five years. We’ve lived, learned, and lost. Mostly it’s been so hard when we lose even just one of our chickens. This year has been the worst. We just got some new hens last May and already lost one. We don’t know why she died. But we have had some others behaving sickly and listless. Upon closer examination we saw dried poop gathering around the vent and saw little teeny tiny black bug and crawling everywhere. Mites!!!! We’ve tried to get rid of them by using poultry spray and DE. They have dust bathing spots. We’ve cleaned them in warm water baths with vinegar and dried them before returning to the coop. Is there anything else we could be doing better? Any advice would be much appreciated. Thanks. I am getting excited were starting a flock this week our babies come, can’t wait..
You mentioned grit but not where this comes from or how to add. If they get to free range part of the day do they get enough grit? Yes, in all likelihood they get enough if they free range. You can buy grit at any feed store. I have had my girls for almost 2 years now and just lost my first one Monday from our 110 degree heat which broke my heart and I read and researched for 2 years prior to starting my flock which was so helpful but I have been following Maat for over a year now and truly love her blogs and information and my girls love all the dried flowers and herbs we get from her. Thanks Maat for all the chicken passion you provide! I read somewhere in my endless research about offering oystershells and grit as free feed and the hens would pretty much just eat it as they need it. So I put oystershells and grit in side-by-side auto feeders for my hens and it seems the only thing we are constantly running out of is the oystershells. I’m not entirely sure the hens are eating much, if any, of the grit. Should I do something different, like start adding the grit to their feed or ????. Thank you for all your wonderful tips, products, and interesting blogs!! Hi Brenda, it sounds like you’re doing everything right. They might be picking up grit when foraging or just taking it as they need it. If they seem healthy and eating okay, I wouldn’t worry!